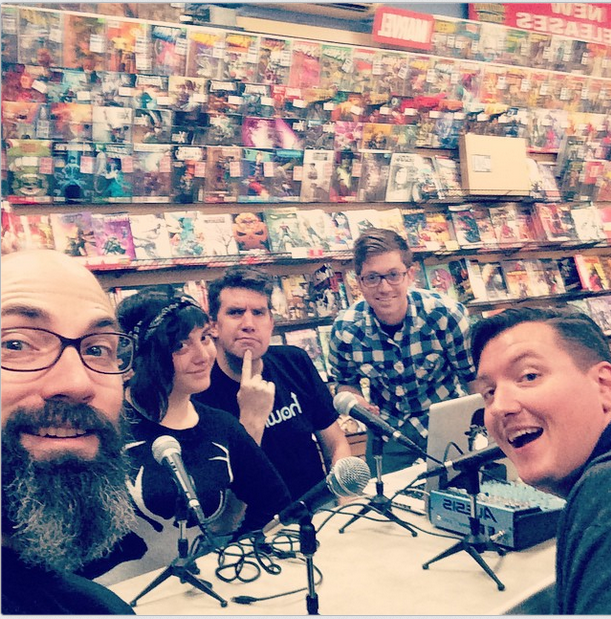 Sam, Andrew, Gavin, and Ted chat with Clay Mcleod Chapman the writer of next week’s Edge of Spider-verse #4 inside an actual location of one of the Midtown Comics stores! Clay talks about writing his first 22-page long comic and how he got there. We also discuss his career in film and stage including a upcoming show next month in Los Angeles. We also talk about Marvel’s upcoming anti-bully covers, let you know some scary comics to read in time for Halloween, and officially introduce our new segment ‘I’m so confused!’. We give our top picks for the week and what you should look for on the shelves next week. Sam then fills us in on banned book week and we scratch our heads on what is actually banned and why. Visit MidtownComics.com to have the books we talk about delivered straight to your door!